NCI offers the widest variety of cleanroom tables, workstations, workbenches, and accessories in the market. All cleanroom tables and cleanroom workstations offer the stability and durability for tough jobs yet incorporates the esthetics and the ergonomic features often missing in the workplace. Whether your work area needs stainless steel cleanroom tables or one with a plastic laminate or solid maple top, NCIhas the cleanroom table for you. Our stainless steel cleanroom tables come in solid, perforated, or rod tops. 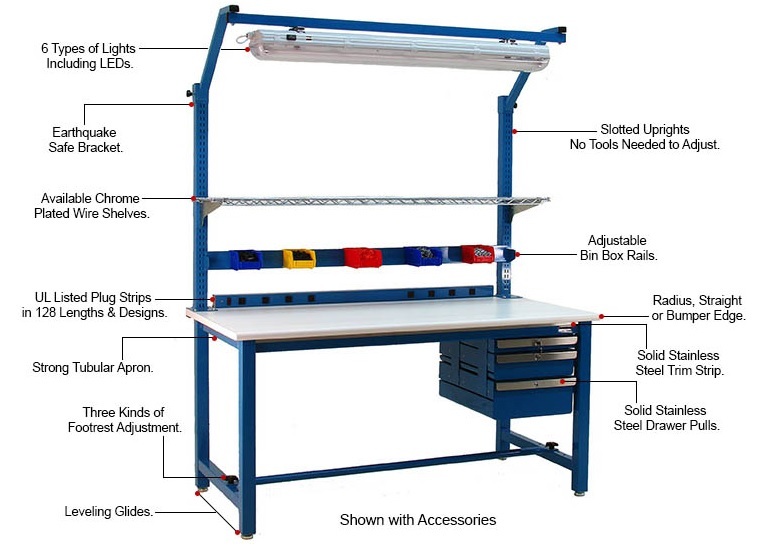 Plastic laminate workstation tops come in a variety of colors and ESD options. Add drawers, shelves or height adjustability to meet your specific cleanroom application. Need a different style or size? Call us at 888-270-0458 for accessories, product information, availability and pricing.